The word 'drone' has popped up in many discussions lately. It is the latest technology people are using to take photos and do all manner of cutting-edge things that proved impossible before. A man and his wife employed the services of a drone during their wedding to the admiration of their guests when it got to the session where they had to exchange rings. 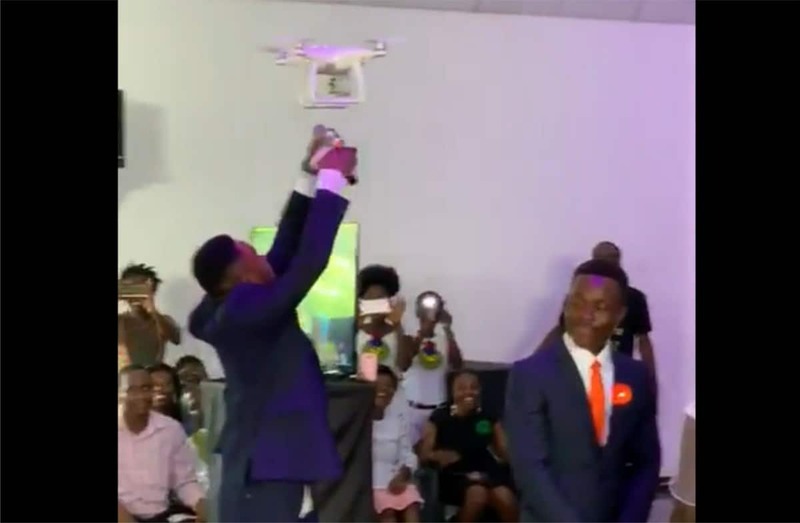 In a video sighted by Legit.ng on social media, a wedding was sent into a frenzy when a drone delivered wedding rings to the couple. The said video saw the bride and groom standing in front of a preacher in a church building waiting to exchange vows and rings. All of a sudden, a whirling sound was heard. All eyes turned to the back of the church only for all the guests at the wedding to see a drone being flown into the church and had the rings attached to it. There was some applause and cheers as the drone made its way to the front of the church to deliver the wedding rings. A man who appeared to be the best man for the wedding had the drone stop in front of him and he cut off the box holding the ring which hitherto, was hanging on a thread. The rings were then presented to the officiating minister who blessed them for the couple. 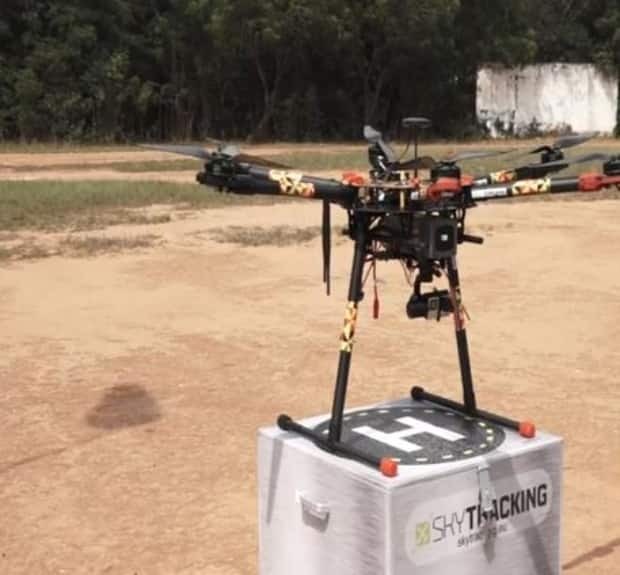 Over the past few weeks, Ghana's government has revealed plans to bring drones into the country to serve medical purposes. According to the government, the medical drones would be responsible for carrying blood and some selected medical supplies to deprived areas to ensure efficient healthcare delivery. However, the nation has been divided over the cost involved to employ the services of the drones with the government already quoting figures as high as $12 million (N4 billion). Meanwhile, . The Nigeria Customs Service (NCS) will adopt high technology strategies, including deployment of drones in order to combat the smuggling of prohibited goods, including rice, into the country.